This month we’re inviting you to switch off and cast on with us. 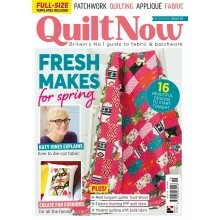 Switch off from all the distractions of the world and treat yourself to some luxurious and relaxing knits. 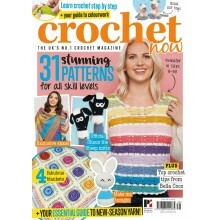 This issue we’re focussing on simple, classic designs that are soothing to knit and comfortable as well as flattering to wear. 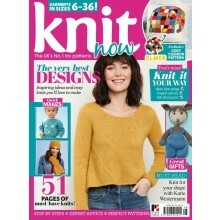 Our cover jumper by Clare Devine is a perfect example – the modern shape and clever shaping will keep you interested while you knit, without it being too complicated. As with all of our original designs, including the Snug Shrug and Sycamore Pullover, we’ve included instructions for a wide range of sizes. 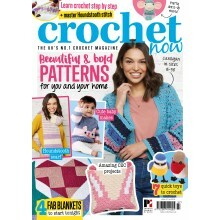 This issue we’re also delighted to launch the first instalment of our brand-new knit-along pattern – a super-cosy blanket designed by Louise Tilbrook. 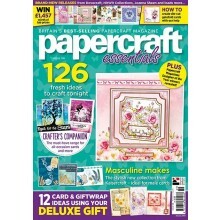 In keeping with this issue’s theme, we’re taking this KAL as an opportunity to reflect as we knit, so I hope you’ll enjoy considering Louise’s journaling prompt as you stitch your first square. If you’re looking for a quicker project, I love the look of the Valencia shawl, which will be a joy to knit in this luxurious yarn. Not ready to cast on just yet? 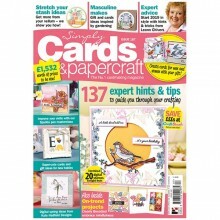 How about grabbing yourself a cup of tea and having a read first? If you’re looking for some expert tips for getting a great fit in your garments, don’t miss our feature by Karie Westermann. 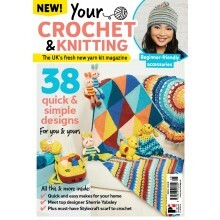 We’re also really excited to announce the winners of our Knitter of the Year competition – did your favourites win? 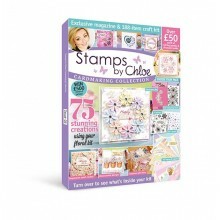 The Build Your Basics book is your exclusive gift with this issue. 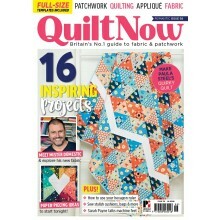 We’ve worked with our talented designer and technical editor Michelle Hazell to create this essential reference book, which we hope you’ll use for years to come. 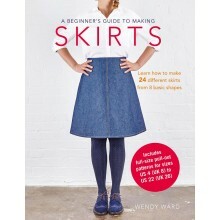 This book gives you the ultimate freedom to create stunning classic garments in a huge range of sizes, in 4-ply, DK or aran-weight yarn. 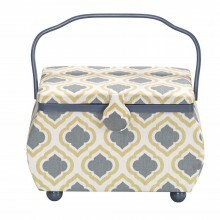 This stunning premium sewing basket from Prym is coated with a lovely bohemian print of blue, gold and white. 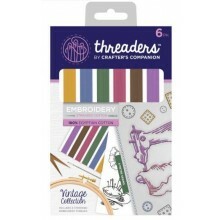 This sewing basket includes a plastic divider inside and the underside of the lid has an elasticated pocket and a pin cushion. The lid is held in place by a magnetic clasp and it includes a high quality handle. 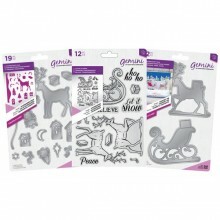 Your Gemini Create-a-Card Christmas Dimensionals bundle includes 21 dies plus 12 clear stamps! 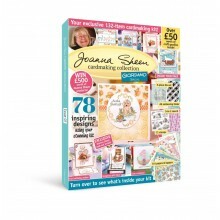 With this bundle you will be able to create stunning three-dimensional Christmas cards. 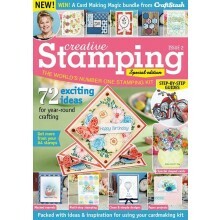 This beautiful collection is perfect for a multitude of projects, including birthdays and spring makes. 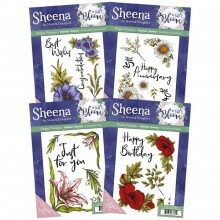 The Sheena Douglass Perfect Partners In Full Bloom bundle is a beautiful collection that features a range of designs that will enable you to create stunning floral scenes with ease. 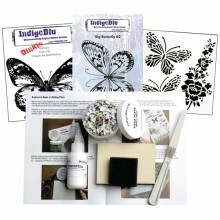 Complete FlitterGlu Starter Kit from IndigoBlu containing two stunning butterfly stamps along with complementing stencil. 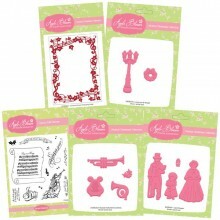 Add a touch of elegance to your cards with this beautiful set. This stunning collection from Sara Davies is perfect for a wide-range of extra-special occasions. 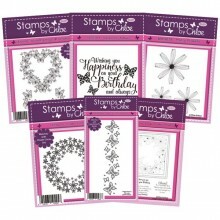 From weddings and anniversaries, to milestone birthdays and beyond – this collection will add a touch of sophistication to your projects! 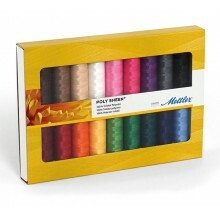 Colorista Pencils are wax-based and are designed for beginners to intermediate users. 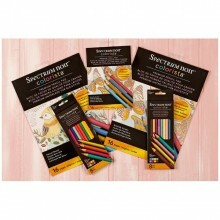 They're ideal for adult colorists, who will be used to very basic coloured pencils and now want to move up a step in quality. 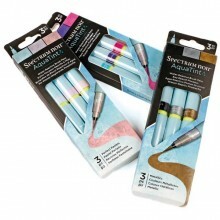 These pencils create striking coloured artwork, especially when used with Colorista colouring pads which feature foiled effects as well as a premium colouring surface. 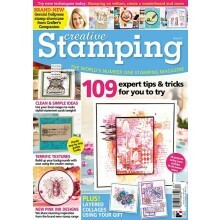 The removable pages also make it easy to pull out your finished piece to display or give as a gift.